1. 10 x 15 Area Size. 2. 4 groups running at the same time. 3. Players in groups of 3. 1. 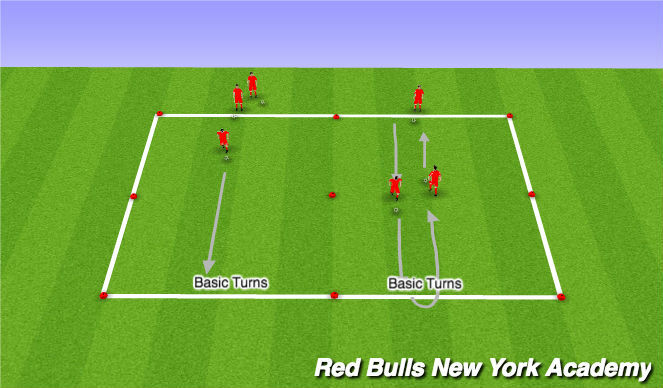 Players dribble (Messi touches) the ball to the top line, execute a turn then dribble back (Ronaldo touches). 2. Focus on basic turns (outside and inside cut). .
1. Head up whilst dribbling. 3. Use of body to fake turn. 6. Immediately pick head up. 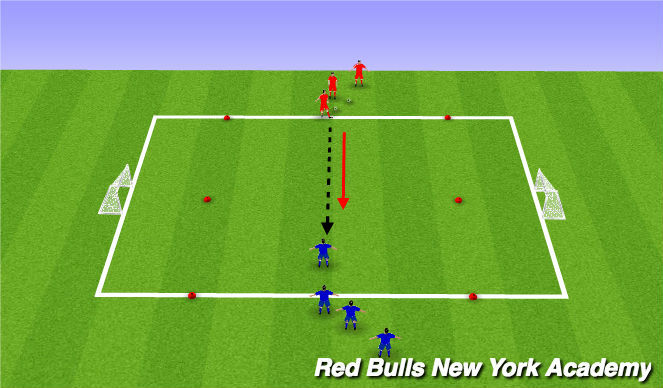 Players dribble at center cone, performing a Cruyff turn in the turning triangle. After turning they lift their head and make eye contact with partner who then goes as the first player dribbles back to the start. Process repeats. 1v1 game. 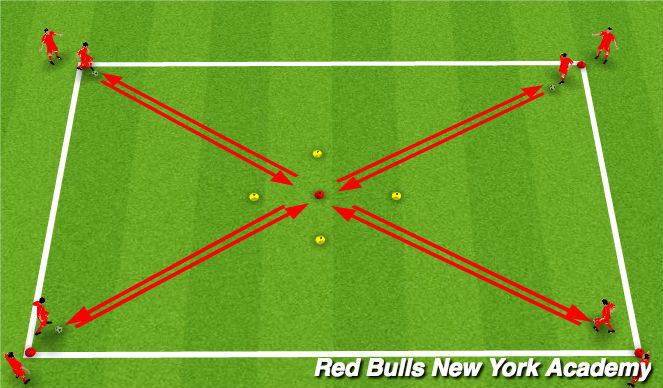 Players can score in either goal but must be in the scoring zone (between the red cone and the goal) before shooting. Play until someone scores or the ball goes out of bounds, at which point the next two players play. Play for 90 seconds, keeping score, and then switch roles.